Greater London is split in two by the River Thames, running through it from west to east as it makes its way to dump its water into the English Channel. Getting from one side to the other has been a large preoccupation of the residents of this area for the past 2000 years. In 50 AD the Romans built the first bridge across the Thames near the site of present day London Bridge. 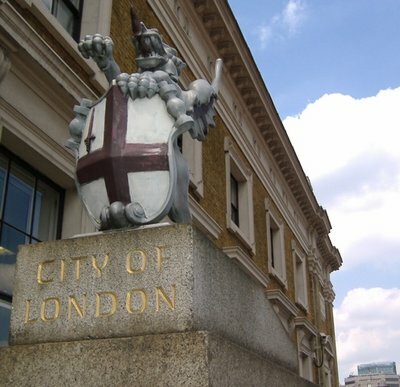 The city of London and the city of Westminster have the majority of the river crossings in London, including a number of bridges built in the late 1800s. Those downstream from London though had to rely mostly on boats to take them across the river. In 1843, Marc Brunel built the world's first underwater tunnel, running between Rotherhithe on the South bank and Wapping on the North Bank. 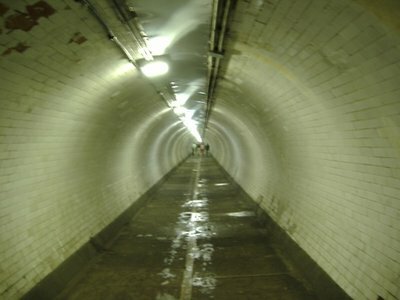 The Thames Tunnel was open for pedestrian foot traffic from 1843 until 1865, when it converted over to train usage. 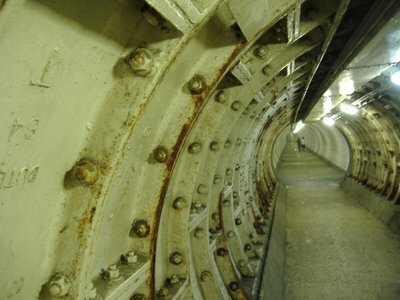 The Thames Tunnel was still in use up until late 2007 as part of the East London line of the Underground. 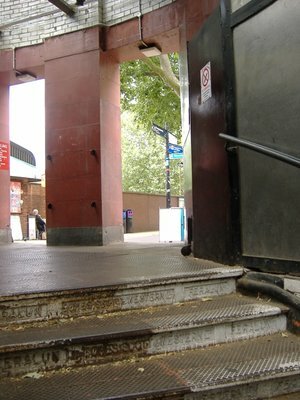 It is currently closed, undergoing refurbishment to reopen in 2010 as part of the London Overground network. While not exactly a success as a pedestrian tunnel, the Thames Tunnel did inspire other tunnels to be built underneath the Thames, including one linking Isle of Dogs with Greenwich. Originally I wasn't planning on writing a blog entry today, figuring that having written three entries in the past three days was probably enough for even the most voracious of readers. However, when the crack research team here at GregWTravels pointed out to me that today was the 106th birthday of the Greenwich Foot Tunnel, well, I had to go and check it out. 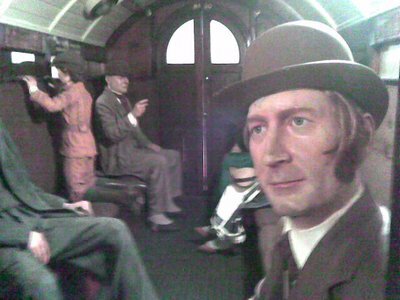 (Note: the crack research team here at GregWTravels consists of me reading things like Wikipedia, using Google and reading Londonist Blog Entries). 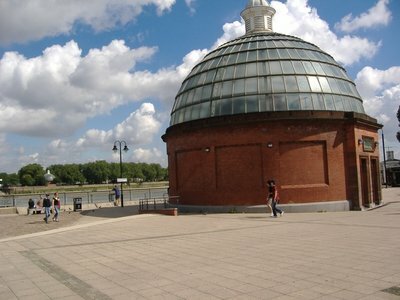 The Greenwich Foot Tunnel connects Greenwich Pier with Island Gardens. The tunnel is about 10 minutes walk south from my house. 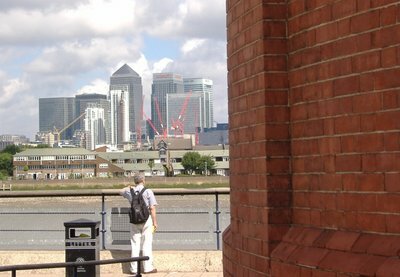 You arrive at the tip of Isle of Dogs, and can see across the water to Greenwich, temptingly close. 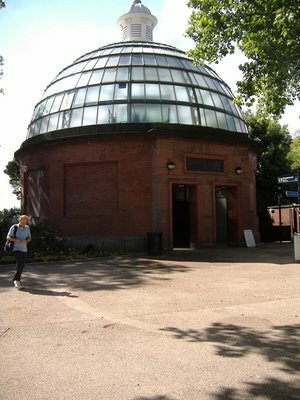 Beside you, you will see the entrance to the foot tunnel, a large, round red brick structure with a glass dome roof. If you look across the river, you can see it's twin on the other side (in the picture below, you can see if off to the very right of the frame). 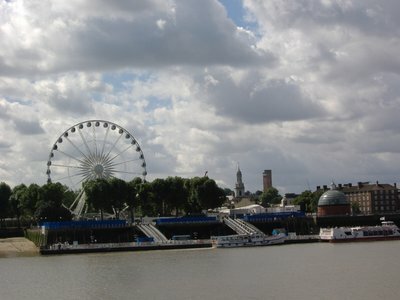 The ferris wheel, by the way, is the Greenwich Eye, the baby brother for the much larger London Eye near the houses of Parliament. 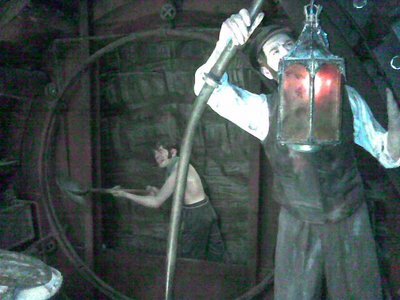 The tunnel is open 24 hours a day. There is a lift (actually two lifts, one on either side of the river), but the lift is only open during the day. 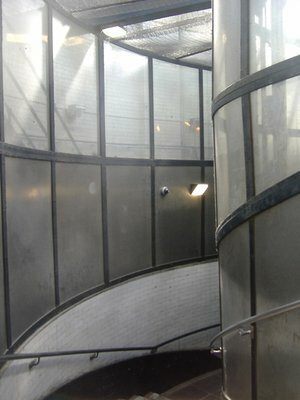 At night, or for those wanting a little exercise, you can walk down a set of Spiral stairwells. 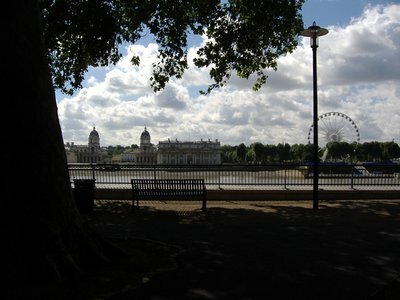 Have a quick glance back your last look at land on the north bank of the river. 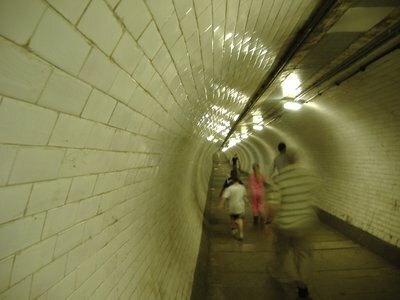 Next, you walk through the tunnel with the white tiled walls. Above you is 50 feet of earth before you get to the bottom of the River Thames, where another large amount of water (depending on the tide depth) sits above that. It's a long way to go if you need to get a breath of fresh air. The tunnel is very busy right now, not just with tourists, runners and cyclists, but just regular folks trying to get across the river, given that presently the DLR is not running between Island Gardens (on Isle of Dogs) and Cutty Sark (in Greenwich) due to repair work. After a few minutes, you emerge on the other side, now on the South side of the River Thames. Coming out of the Greenwich Exit, you take a check turn and look back North across the river to Island Gardens, Isle of Dogs and the whole of North London across the water. 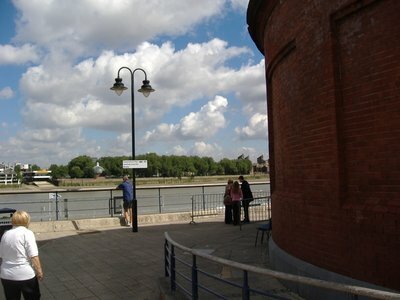 Happy 106th, Greenwich Foot Tunnel!